Today, marijuana extracts are becoming a highly appreciated and demanded product by many growers and users. They can reach very high concentrations of cannabinoids and terpenes, being a true delicatessen that any smoker would like to taste. In this category we’ll tell you the classic and the more advanced extraction techniques so you can know everything about this beloved concentrates. First of all, and before deepening into the subject, we should keep in mind that the first evidences of the use of hashish are not related to combustion, that is to say, it was not smoked. Also, it’s possible that hashish was firstly used as one of the diverse resins used to produce incense. However, we should take into account that during the expansion of hashish it was basically ingested and never smoked. As we will see hereinafter, the practice of smoking hash is believed to start much later. Despite the fact that we can’t find any mention of hashish in the Koran (7th century), it would be legitimate to think that the discovery of hashish took place between the writing of the Koran (caliphate of Utman ibn Affan, year 632) and the 10th century, when we find the first reports on the use and properties of cannabis resin, hashish. We have texts from the 11th century in which Muslim clerics and legislators openly debated about its use. It was at this time when its ingestion was generalized drastically in Arabia, Persia and the Middle East (Arabians often blamed Persians – especially sufis – and Mongols for introducing hashish in their land). Among many other written records, hashish is also mentioned in “Thousand and One Nights” or “Arabian nights” (11th&12th centuries), where King Omar used it to cause sleepiness to Princess Abrizah. This gives us the proof that hashish was already known, at least in Persia and Arabia, at the end of the 10th and 11th century (Rosenthal, 1971). Actually, Ibn Wahshiyya (an iraqi alchemist) already mentioned hashish on his “Book of Poisons” around the 10th century. As we mentioned, during the 11th century onwards Arabians often blamed the Mongols (or Persians fleeing from Mongol invasions) and Sufis for having introduced this substance in Arabia. Still, it isn’t clear whether they were those who introduced it or simply those who popularized its use among the Arabian population. What is clear is that Mongol invasions coincide in time with the spread of hashish use, also with the reopening of trade routes between East and Europe in the 11th century. Even if these legends try to explain the discovery of hashish, a little detailed study shows that this is not exactly true, and that while these legends can bring some useful data, they can not be taken literally. Still, they represent some of the first writings treating on the discovery and use of the psychoactive properties of hashish. The legend about the Hashishin of the Old Man of the Mountains, Sheik Hasan ibn al-Sabbah, tells us that in 1090 an old man recruited and trained young soldiers with the promise of paradise in life and death if they joined his group and killed the crusaders, turning them into professional killers. While we can find documents (Arnold de Lubeck in 1210, Marco Polo at the end of the 13th century, etc.) 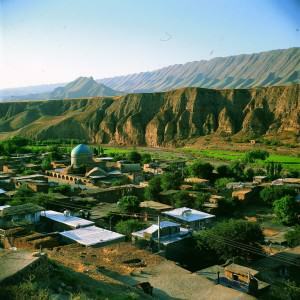 that mention the Hashishin cult – between its foundation in 1090 and the fall of its fortitude in Alamut in 1256 – no evidence of the use of hashish among the members of this order has been found. In fact, if there was any proof of that, it would simply confirm the use of hashish by the Hashishin, but by no means the discovery of hashish, which we know must be earlier. Another legend that falls down, in this case for the weight of the chronology of the facts, is that of the ascetic sufi monk Sheik Haidar. He supposedly “discovered” the psychoactive properties of cannabis through the consumption of fresh leaves. Although the existence of Sheik Haidar is perfectly documented – as well as his worship to the marijuana plant – there isn’t any proof that he was actually using hashish, nor that he was its discoverer. Moreover, Haidar actually died in its monastery of Khorasan, Persia (N.Iran) in 1221, when hashish was already being used in other parts of Persia and Arabia. What remains clear is that during the 13th century the use of hashish spread hugely for several reasons. Some say that disciples of Sheik Haidar took it to India. In 1206, Ghengis Khan unified the Mongol tribes, known for spreading the use of cannabis wherever they went. By the end of the 13th century, these tribes had reached Afghanistán, Russia, Persia and Central Asia, and with them their customs. The first well-known monograph about Hashish (written in Arab, and unfortunately already lost), Zahr to-‘arish fi tahrim al-hashish, was written in this century. 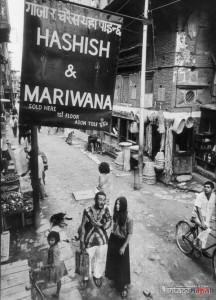 Two main factors affected the spread of hashish during the 17th and 18th centuries: on one hand, the introduction of tobacco in Europe and then Asia from the New World (16th century) meant that people began to mix tobacco with hashish, highly increasing the popularity o both substances. On the other hand, the appearance of new sieving techniques, (17thC. Aghanistan / Middle East), much more efficient than traditional methods of rubbing fresh resin glands, caused that production could meet the increasing demand. Although some Arabic texts dating from the XIV century mention the “thin red dust”, perhaps referring to sifted resin, it doesn’t seem that this method become widespread until entering the 17th century, when the demand rose spectacularly. This “new” technique allowed processing much more material in less time, and the obtained product kept its properties much longer than fresh manufactured hash. During these centuries, the best qualities of (sifted) hashish came from Afghanistan and Turkestan (Bukhara and Yarkand). A fruitful trade route was established passing through Mazar-i-Sharif and Kabul arriving to Shikarpur or Peshawar, already in Pakistan. There were other routes towards India, which also imported charas from Nepal (hand rubbed resin). At the beginning of the 19th century, when Napoleon’s troops returned from their campaign in Egypt, they brought with them the habit of smoking hash, which gained a great number of followers in France. 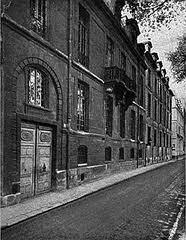 In 1843, it was possible to get hashish in any French drugstoreBy that time, the well-known “Les Club des Haschichins“ was created in Paris, formed among others by intellectuals like Gerard de Nerval, Theophile Gautier, Charles Boudelaire or Arthur Rimbaud, who dedicated a poem to the young Hashishins and the Old Man of the Mountains. Demand, production, use and development of new techniques reached their historical peak at the end of the 19th and the beginning of the 20th century. By that time, Turkestan, Afghanistan, North of Pakistan, North of India (Kashmir), Greece, Turkey, Syria, Nepal and Lebanon were exporting diverse hashish quantities abroad. Nevertheless, the situation changed drastically during the 20th century, when new drug prohibitionist politcies wreaked havoc among producers, smugglers and users. Today, Morocco is probably the only country of the world exporting large amounts of hashish. Other ancient producing countries basically produce for the local market and export few quantities that often reach the surrounding countries exclusively. Still, production in Afganistan and Lebanon is thriving lately. The most probable thing is that cannabis came to Morocco by the same time it reached the Peninsula, on the 14th century. Diverse sources confirm that Berber tribes – who have controlled the Rif mountain area (Ketama) on the north part of the country for centuries – have been using hash traditionally. Nevertheless, Morocco did not produce hashish until the 60s. Indeed, before this time, cannabis (also called Kief or Kifi) was traditionally smoked in pipes (sebsi) mixed or not with tobacco or other herbs, and only Lebanese hashish was available. As happens many times, the exact origin of hashish production in Morocco remains a mystery, even if it began thanks to the western travelers of the Hippie Hashish Trail or through the teachings of Algerian Mustafa to Aslama Chai-Chai, a local farmer in Ketama. A theory commonly accepted (R.C. Clarke, 1998) is that, while it is true that westerners and locals had been producing hashish for some years (“English Richard“, “Billy Madman“, etc. ), it was Mustafa who pioneered industrial-scale hashish production in Morocco. Probably, the most popular hashish sieved back then in the Rif mountains was made by “Peter One“; Peter’s best qualities were coming from separations with yields of up to 0.2 % (500:1 ratio, or 100 kg of kief to get 200gr of hashish). Shortly after, different ways of separating cannabis resin were explored, among them the popular Bubblehash – done with a sieving bags and washing machines – or the Rosin Hash. Despite the efforts of historians and researchers, it is very difficult to date exactly the geographical and temporary origins of hashish. The large number of legends surrounding this substance and the fact that it wasn’t until the middle of the 18th century when western investigators began to study this topic and keeping written records, don’t ease the task of the researcher. We have seen that – basing exclusively on written records – we can affirm that hashish was already known in the 10th century. Reliable sources like Ibn Wahshiyya (alchemist from Iraq, Xth century) or Omar Khayyám (1048-1131, who dedicated some of the praises in his Rabayat to hashish) confirm this fact. To affirm categorically that it was used before is to walk on a swampy ground. Although this previous use is more than likely, it’s complicated to provide real evidence of it. We have also seen that what today is called charas (hand rubbed hashish from fresh plants) is much more older than sieved resin (dry-sift hashish). We have also seen that hashish was probably only ingested for centuries before people began to smoke it, especially with tobacco. 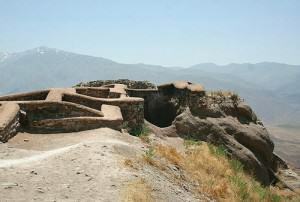 The most ancient hashish culture still alive today is Afghanistan. 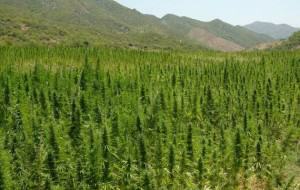 On the other hand we find Morocco, which has been the biggest hashish producer of the world in the last decades. The tolerance showned by the moroccan King in the Kif region, together with the perfect location of this country for exporting to the European market, have undoubtedlyallowed this situation. During the last years, both extracts made with solvents and solventless concentrates have increased their popularity in an exponential way. This is due, in great measure, to the legalization process that is recently taking place in the USA, also to the creation of Cannabis Social Clubs in Spain. In this post we present you two extraction methods for those who want to use alcohol as solvent (which will be later purged). We’ll see how to use ethanol (which we be the solvent used to illustrate this article) and isopropyl alcohol. Although both techniques have a very similar procedure, there are some differences worth taking into account which will be mentioned at the appropriate moment. It should also be said that isopropyl alcohol contains more toxic substances than pure ethanol (which actually shouldn’t contain any). Thus, wuse isopropyl exclusively to clean your utensils and glass pipes and not for performing extractions. Rosin has recently risen to become a hugely popular extraction choice for those who prefer to dab solventless cannabis concentrates. The reasons why it is enjoying such popularity are clear: it’s safe, having none of the risk of explosion associated with processes using butane or alcohol to extract; it’s very fast, no other extraction method can produce a dab from a bud in just minutes; and it’s cheap too, there’s no expensive equipment required. Anyone with some herb can make their own cannabis extractions at home with minimal investment – all that’s needed is an electric hair straightener available on every high street, and some baking paper, on sale in every supermarket across the country. If there’s a drawback to making rosin from buds/flowers, it’s that you need to press a relatively large amount of herb to produce a worthwhile amount of extract. Yields with flowers vary from below 10% to higher than 30% in extreme cases and depend greatly on several factors, mainly: the genetics – the strain being pressed; the grow – the overall quality and resin content of the buds; the extraction equipment – the amount of heat and pressure employed; and the condition of the herb – age and relative humidity of the material. Many first-timers are put off making rosin by the poor yields resulting from pressing lower-quality flowers, it can be disappointing to see perfectly smokeable buds ‘ruined’ with almost nothing to show for it. For this reason, some have turned to a more satisfying method of producing dab-able full-melt concentrates and are pressing rosin from hash instead of from herb. Today, the expression Live Resin is increasingly employed and is oftenly used during the discussions between cannabinoid extraction lovers. It can also be found in the way of #hashtags, in comments of BHO pictures on Instagram and other social networks…but what exactly does it mean? The expression Live Resin is used to speak about concentrated resin made using a solvent – generally butane – and fresh plant material. It consists in freezing the buds/trim right after harvest, without any drying or curing process. Normally, the whole plant is used, which is cut into small nugs and placed inside the extraction tubes, which are then put in the freezer for 12-24 hours. Using cryogenic freezers or CO2 ice is recommended, since best results come with plant material freezed at temperatures between -30 to -65°C (-22 to -85ºF) . Using the whole plant – buds and small leaves – is very important to get the biggest possible diversity of terpenes. The BHO extraction is carried out following the same steps than conventional extractions of dried and cured buds. During the Medical Cannabis Cup of Michigan in August 2015, terpene analysis on Live Resin samples were performed, which revealed much higher terpene concentrations than regular BHO extractions. These type of cannabis concentrates are now inevitable for dab lovers. In American dispensaries, Live Resin extracts can easily exceed in about 10 to 30$ the price of extractions made from dry buds. Today, it’s not strange to see Live Resin extractions being awarded in cannabis cups, as for example during the last Dab A Doo in Valencia, were Oil Hunters were awarded with the first prize for their Somango OG Live Resin – which was highly appreciated by our team – and 710 Crew won the third prize with their Sour Amnesia Live Resin. Live Resin is a relatively recent extraction method. Its “invention” is attributed to a grower named William “Kind Bill” Fenger, a man from Colorado specialized in cannabinoid extractions since 1980, and who directed the first legal crop exclusively dedicated to the production of marijuana concentrates in 2010. A little bit later, he had the idea of extracting cannabinoids from fresh plant material using butane. He then named the resulting product Live Resin. The first strain with which he used this technique was Original Diesel, a clone from Florida. He was amazed by the taste, smell and effect of this extract; it was one of the best things he had ever smoked. Live Resin: Terpenes to the max! Kind Bill wanted to keep the powerful scent you smell while you are trimming a fresh plant in a cannabinoid extraction. This smell is caused by the many terpenes present in the cannabis plant, but a large part of them are lost during the first week of the drying process, as was stated in a study performed in 1995 and called The Volatile Oil. Monoterpenes like Myrcene and Limonene evaporate more quickly than the larger and heavy-weightier Sesquiterpenes, as happens with caryophyllene, which represents a large part of the terpene concentration found after drying the buds. A recent study conducted in the Mississippi University about extractions from fresh plants, reveals much higher levels of monoterpenes – more volatile – in this type of extractions, which are responsible for the powerful and floral flavour of the marijuana plant that, in turn, provides the Live Resin with this fresh and fruity flavor. If we compare it with an extraction made from cured buds, the latter contains 2-4 % less monoterpenes than those contained in Live Resin samples. Therefore, we must remind that the moisture present in the cannabis buds can impede the butane to act as solvent. That’s why freezing the buds at the lowest possible temperature is so important. One of the secrets to get a uniform Live Resin product, free from chlorophyll, is freezing everything during the extraction process. In this way, we must make the process quickly after removing the tubes from the freezer. This can be problematic for closed-loop systems since the parts of these systems can’t be placed in the freezer. The butane bottles should also be frozen before starting the extraction process. While final yields are similar, fresh weed occupies more volume than dried buds, so if you want to have the same yield with fresh plant material you’ll need a bigger extractor. Also remember that yields greatly depend on varieties and the amount of resin glands contained on the flowers. The end product can vary depending on the used temperatures during the extraction process, the humidity of the base material, the genetics and the type of purging you have used. The consistency of the final product reflects the humidity level and the terpene content of each extract. Therefore, the result when using fresh plant material is always very clear and golden. It shouldn’t be surprising if the liquid that comes out of the tube during the extraction process is completely transparent. Thus, it will be necessary to collect the resin to appreciate the fruits of the work done. A Shatter-type Live Resin extract – or slightly more liquid (SAP) – is difficult to obtain, since using high quality weed and applying extremely cold temperatures will be necessary, even performing a second dewaxing (using another solvent to remove the waxes) to maintain its consistency. Its scent is more discreet, but it retains the terpenes longer if properly stored. You can get a more grainy result (budder/crumble) – that is extremely rich in terpenes and releases a very powerful smell – by using slightly warmer temperatures during the purging process. Therefore, Live Resin extractions must be consumed as quickly as possible since their organoleptic properties quickly degrade. It should be noted that, in the case of budder, degradation happens even more quickly. We recommend to store the extract in the fridge and always protect it from light and moisture. We find other terminologies that coexist with the term “Live Resin”, as in the case of “Holy Water”, “Terp Sap” or also “The Clear”. These extractions can have up to 20% of terpenes and all show a very fluid appearance. Extracts like The Clear or Terp Sap have a certain amount of food grade terpenes added in the recipe to improve their flavor. On the other hand, Holy Water is a type of extraction performed by a company which uses a process that yields more liquid concentrates, providing unbelievable terpene concentrations (sometimes, even more than the The Clear or Terp Sap extractions). This kind of liquid concentrate is ideal to be used with “Pen” vaporizers, since they are difficult to handle if you want to use a traditional dabber. Several American medical patients use to mix a small amount of Holy Water or The Clear with traditional concentrates (budder/shatter/sap), thus allowing an easier handling. Holy Water, The Clear or Terp Sap are extremely rich in terpenes and cannabinoids (sometimes above 90% THC). The only way to get the exact desired type of extraction is to practice and learn about new cannabinoid and terpene extraction techniques. Many of these different methods have been developed by the pioneers of BHO, as is the case of “Kind Bill”, who always tries to be at the forefront of extraction techniques and constantly contributes with new information of vital interest. Probably, any concentrate lover has realized that, many times, the extraction process changes the terpene profile of the weed, so the resulting extract lacks some of the organoleptic features of the buds from which it comes. In this way, cannabis extracts have a common taste and smell – with subtle variations – regardless of the strain used to make them. This happens especially when using dried/cured plant material, since as we have already seen in our posts about Fresh Frozen and Fresh Chilled, these type of concentrates have a smell and taste much closer to those of the fresh plant material. Somehow, isolating and concentrating the resing glands leads us to limit the terpene range, so we can’t properly appreciate the “personality” of each sample. But, why does it happen? A study conducted by Jean-Jaques Filippi, Marie Marchini, Céline Charvoz, Laurence Dujourdy and Nicolas Baldovini (“Multidimensional analysis of cannabis volatile constituents: Identification of 5,5-dimethyl-1-vinylbicyclo[2.1.1]hexane as a volatile marker of hashish, the resin of Cannabis sativa L.“) at the end of 2014 seems to have found the answer to this question. According to these researchers, the typical “hashish flavour” of many resin extracts made from dried and oxidized buds comes from the degradation of a single terpene, which creates an unusual and rare monoterpene (5,5-dimethyl-1-vinylbicyclo[2.1.1]hexane). 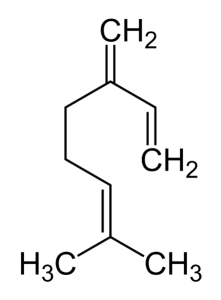 The five researchers propose in their study a name for this particular monoterpene, Hashishene. While the rearrangement of myrcene and the formation of 5,5-dimethyl-1-vinylbicyclo[2.1.1]hexane was already investigated by Robert S. H. Liu and George S. Hammond in 1965 (US 3380903 A), this phenomenon had never been observed before in hashish samples. 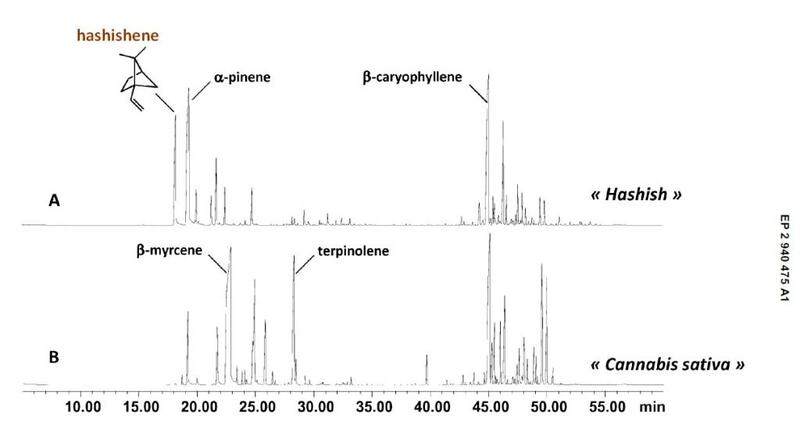 The volatile constituents of the samples used to conduct the study (fresh buds, dried buds and hashish) were investigated using headspace solid phase microextraction (HS-SPME) and hyphenated gas chromatography techniques (GC-MS, GC×GC-MS), showing clear differences in terpene profile between weed and hashish samples, mainly resulting from photo-oxidation of the plant material during the drying and extraction processes. Thus, the hashish samples analyzed showed considerable amounts of a rare monoterpene among their volatile compounds, which came from a rearrangement of beta-myrcene during the manufacture of hashish. Moreover, the researchers claim that this monoterpene would be almost exclusive from cannabis plants, so they propose to call this new volatile marker “Hashishene”. Let’s take a closer look now at what is beta-myrcene and how it degrades into Hashishene. Beta-myrcene – also known as myrcene – is a natural hydrocarbon (7-Methyl-3-methylene-1,6-octadiene), more precisely one of the most important monoterpenes found in cannabis plants (it is also found in other plants like hops, parsley or bay) and widely used in the production of fragances for its pleasant scent, although it is unstable in air and tends to polymerize. Its name comes from Myrcia sphaerocarpa, a medicinal plant found in Brazil with high amounts of myrcene. Myrcene is also a precusor to other terpenes, helping to form them, and synergizes their antibiotic properties. It is also believed to play a crucial role in the effects of cannabis. A study conducted in Switzerland in 1997 showed that myrcene was the most common terpene in 16 different cannabis strains, being over 50% the total terpene content of some of them. Myrcene can change the permeability of cell membranes to allow more cannabinoid absorption by the brain, thus regulating the effects of other cannabinoids (in a similar way than CBD does). It is also believed that myrcene makes THC, CBD and CBG more effective. Myrcene has many therapeutic effects, being used to relax muscles and combat pain. It also has anti-depressantand anti-inflammatory properties, plus antimicrobial, antioxidant, antiseptic, and anti-carcinogen effects. It slows bacterial growth, inhibits cell mutation (a very important factor when fighting cancer), suppresses muscle spasms and is even used to treat psychosis because of its relaxing and calming effect. Its smell is very complex, earthy, balsamic and spicy, but also reminiscent of grapes, peaches, vanilla, grass, wood and pepper. Both the smell and taste dissipate with high temperatures. We know that cannabis contains high amounts of monoterpenes and sesquiterpenes. Alpha and beta-pinene, beta-myrcene and limonene are the most commonly found monoterpenes, while the predominant sesquiterpenes are beta-caryophyllene and alpha-humulene. Seven out of ten cannabis samples used in this study contained large amounts of beta-myrcene (19,5-28,7%), but what about the hashish samples? After a first series of analyses, researchers found out that every hashish sample contained remarkable amounts of an unusual monoterpene – 5,5-dimethyl-1-vinylbicyclo[2.1.1]hexane – eluting before alpha-pinene. This finding was quite surprising since this compound had only been isolated once before this study – although it was first identified in Boswellia species – and it was as a constituent of the essential oil of Mentha cardiaca L. Moreover, and on a second series of analyses, “hashishene” was found in almost all hashish samples among the most abundant apolar constituents (1,1-14-9%), while it was detected in samples of dried and fresh herb in very low amounts. A total of 186 constituents were identified in these analyses. Before this study, beta-myrcene was already considered as one of the most abundant volatile constituents of cannabis, and has been proposed as specific marker of marijuana. According to the results of this study, the presence of “hashishene” would be directly linked with the high amounts of beta-myrcene detected in fresh cannabis buds. Researchers state that exposure to sunlight would be one of the factors related with the formation of hashishene from beta-myrcene, supporting the photolytic origin of “hashishene”. All hashish samples showed a wider diversity in oxygenated terpenes than cannabis buds, and many alcohols, aldehydes and ketones could be related to the hydrocarbons found in cannabis. They observed that many oxygenated derivatives actually came from the initial terpenes, more specifically from a photo-oxydation process. In this way, terpene photo-oxidation leads to the formation of allylic hydroperoxides, which will soon generate alcohols when losing an oxygen atom. Other volatile constituents widely detected in most hashish samples were caryophyllene/humulane derivatives – as well as linear alkanes, esters, fatty acids or alcohols – all as a result of processes of isomerization, dehydration, cyclisation and photo-oxidation from the manufacture of hashish. Researchers propose to rename monoterpene 5,5-dimethyl-1-vinylbicyclo[2.1.1]hexane – a photolytic rearrangement of beta-myrcene – as “hashishene” due to its rare occurrence in other essential oils and to its high abundance in hashish. Fresh frozen is a variation on the ice water hash technique, usually performed with collection bags using a monofiliment micron screen. We need the same exact materials used for this type of extractions: a bucket, a set of collection bags to isolate and collect the different resin grades, ice cubes, water, and something to stir the mix in case we are not using a washing machine. 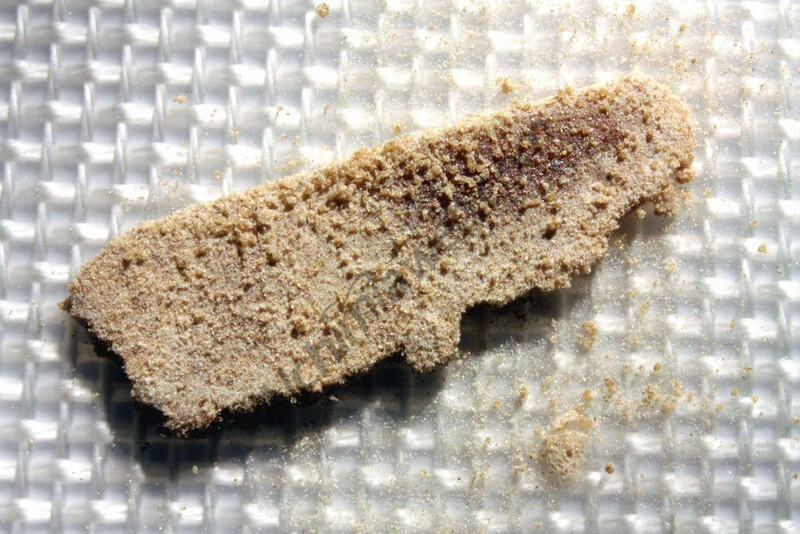 Since this type of concentrates are extremely sticky, using a silicone skimmer or similar is advised. Meanwhile, put your Resin Collection Bags inside the bucket and fill it with water and ice cubes. Once done, remove the bag with the ice cubes and the buds. You can keep it for a second run or to make butter and cook these delicious edibles. Collect your different resin grades and leave them to dry. To make this process easier, you can leave the bag in the freezer for some minutes and use a frozen spoon to collect the resin. In this way, resin is frozen and thus much easier to handle.